In order to solve the high peak to average power ratio (PAPR) problem of pseudo random code phase modulation (PRCPM) signals, minimum shift keying (MSK) modulation waveforms with constant envelope were introduced into underwater detection. Genetic algorithm (GA) was proposed to optimize pseudo random binary codes used for MSK waveforms, in order to design sonar waveforms with various performances. After MSK complex envelope signal was obtained by theoretical analysis, the optimizing objective functions for a single waveform and a group of waveforms were presented. The optimized single waveform with low autocorrelation sidelobe values can reduce false alarm number and the difficulty of target decision. When multiple sonar systems work as a team, the optimized group of orthogonal waveforms with low autocorrelation sidelobe values and cross-correlation values can alleviate interferences between each other. In the simulation, the correlation performances of a single waveform and a group of orthogonal waveforms were presented, and ambiguity function showed that the designed waveforms had good velocity and distance resolution, which means that the optimized MSK waveforms are suitable for underwater detection. D. Liu, L. Li, and X. Chen, “Optimization of Orthogonal MSK Waveforms for Active Sonar Using Genetic Algorithm,” J. Adv. Comput. Intell. Intell. Inform., Vol.23, No.1, pp. 84-90, 2019. P. M. Baggenstoss, “Specular decomposition of active sonar returns using combined waveforms,” IEEE Trans. on Aerospace and Electronic Systems, Vol.49, No.4, pp. 2509-2521, 2013. D. A. Hague and J. R. Buck, “A generalized sinusoidal frequency modulated waveform for active sonar,” IEEE J. of Oceanic Engineering, Vol.42, No.1, pp. 109-123, 2017. S. P. Pecknold et al., “Improved active sonar performance using Costas waveforms,” IEEE J. of Oceanic Engineering, Vol.34, No.4, pp. 559-574, 2009. H. Deng, “Synthesis of binary sequences with good autocorrelation and crosscorrelation properties by simulated annealing,” IEEE Trans. on Aerospace and Electronic Systems, Vol.32, No.1, pp. 98-107, 1996. H. Deng, “Polyphase code design for orthogonal netted radar systems,” IEEE Trans. on Signal Processing, Vol.52, No.11, pp. 3126-3135, 2004. H. A. Khan et al.,“Optimizing Polyphase Sequences for Orthogonal Netted Radar,” IEEE Signal Processing Letters, Vol.13, No.10, pp. 589-592, 2006. S. P. Singh and K. S. Rao, “Polyphase Radar signal Design Using Modified Simulated Annealing Algorithm,” IETE J. of Research, Vol.53, No.2, pp. 173-182, 2007. H. Hu and B. Liu, “Genetic Algorithm for Designing Polyphase Orthogonal Code,” Int. Conf. on Wireless Communications, Networking and Mobile Computing (WiCOM ’08), IEEE Press, pp. 1-4, 2008. J. B. Yan et al, “Optimization of polyphase codes based on weighted cyclic algorithm for synthetic aperture radar,” IET Int. Radar Conf. 2015, IET Press, pp. 14-16, 2015. Z. Dunn et al., “Low Sidelobe Pseudo-Orthogonal Code Sets Through Particle Swarm Optimization,” IEEE Radar Conf. 2016, IEEE Press, pp. 2-6, 2016. W.-Z. Dai and K. Xia, “Approach to Hybrid Flow-Shop Scheduling Problem Based on Self-Guided Genetic Algorithm,” J. Adv. Comput. Intell. Intell. Inform., Vol.19, No.3, pp. 365-371, 2015. K. Uemura and I. Ono, “AEGA: A New Real-Coded Genetic Algorithm Taking Account of Extrapolation,” J. Adv. Comput. Intell. Intell. Inform., Vol.20, No.3, pp. 429-437, 2016. 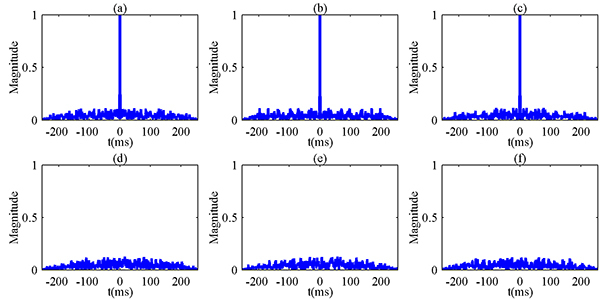 Z. Liu et al., “Communication analysis of integrated waveform based on LFM and MSK,” IET Int. Radar Conf. 2015, IET Press, pp. 1-5, 2015.